Bangkok has rapidly established itself as an attractive property investment destination in the heart of South East Asia. This is due to a combination of factors, from comprehensive property ownership laws for foreigners, strong rental yields (on average between 4-6%), and good capital appreciation potentials spurred by the city’s rapid development. These factors are complemented by the relative affordability of property in Bangkok, and the fact that the City offers an appealing lifestyle that attracts visitors and expats from around the world! 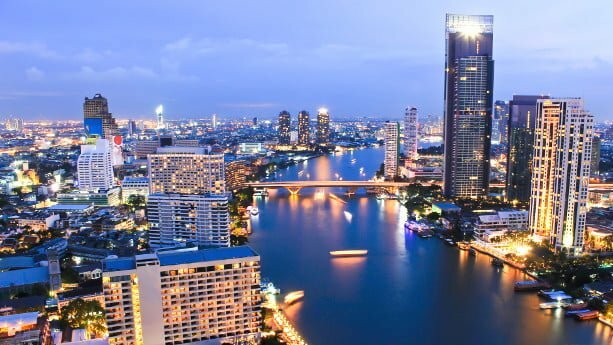 It comes as no surprise that international investors, especially from Singapore, Hong Kong, China and even the Middle-East, have been investing in buy-to-let property in the Thai Capital. How do landlords find rental clients for their properties? The most popular rental option for buy-to-let investors is trying to find a tenant that rent for 1 year or more. Rental terms for standard leases in Bangkok tend to range between 1 to 3 years. The easiest way to secure a long-term tenant is by instructing local Property Agents, who would market the property via their client database and online marketing channels. Agencies tend to draft the lease and inventory, assist with check-in and eventual check-out of the rental client as part of their service. Bangkok is a popular business and holiday destination. It’s not uncommon for visitors to look for shorter-term rental options (i.e. 2 months). This rental clientele tend to be open to paying higher monthly rent, as renting privately is usually more cost-effective than renting a hotel on a nightly rate. Therefore, renting month-by-month can be extremely lucrative and offer potentially higher than average rental returns. Renting short-term is the perfect solution for landlords that would like to keep their property as a second home when they travel to Bangkok. It is important to note that renting condos on a nightly/weekly basis is illegal in Thailand. This grey area of the local legal system means that landlords should play safe and aim to rent their condos a minimum of 1 month per tenancy. What does it cost to use Property Agencies or Rental Services? While it is possible for a landlord to self-market to try to find a tenant directly, this is usually time intensive and would require local rental knowledge. Therefore it is usually advised for overseas landlords, to instruct a Property Agency or Rental Service (For short-term rentals). For example, if a property was rented for THB 15,000 per month, the commission for 1 year lease would be THB 15,000. There should be no other marketing fees charged by the Agency. This commission fee is usually inclusive of the lease agreement and inventory drafting, check-in and check-out of the rental client. However the fees are exclusive of property management services; therefore, issues during a tenancy are the landlord’s responsibility. *Depending on the service provider. Service fees usually include cleaning and rental turnover services (i.e. ensuring the property is in good condition for the next rental client). The high fee is due to the fact that short-term rentals are not a standard rental option and is resource intensive for service providers. 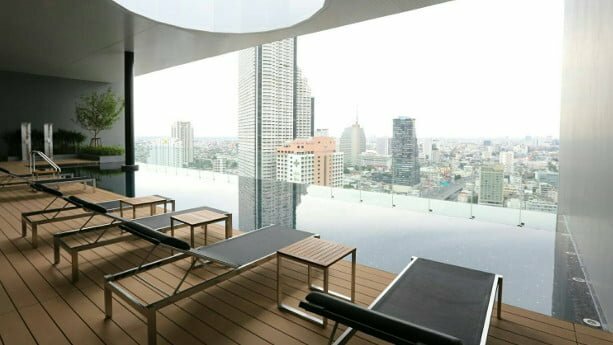 Long-term rentals are by far the preferred option for most landlords in Bangkok, as the stability of monthly income is usually more attractive and easier to manage (especially for overseas landlords). The standard security deposit in Bangkok is equivalent to 2 months of rent and rental payments are made in advance at the beginning of every month. Therefore, upon the start of a rental lease, a tenant is expected to pay a total of 3 months of rent. Rental payments are usually made directly to the landlord’s designated account, as very few agencies in Bangkok will offer rental collection services. It is important to note that the security deposit is refundable to the tenant, at the end of the lease period. When advertising a Property for rent, it is common practice for landlords locally to instruct several Property Agencies. There is no Thai real estate agent license or property agent legislation regulating the industry. Therefore, landlords are advised to carefully check the credentials and experience of the agency/ freelancer they are instructing. Connected to the point above, ensure a carefully drafted lease agreement and inventory is provided pre-tenancy and signed by the tenant. Also ensure a valid copy of the Client’s ID (I.e. Passport or National ID Card) is provided by the Property Agent. Having all the right paperwork and records of the lease, ensure potential “unpleasant situations” further down the road can be mitigated! Final Words: How long will it take to find a tenant? Landlords often like to have a general indication of how fast a tenant can be expected. Unfortunately providing an answer is difficult, vacancy periods are usually affected by variables such as the property’s location, the project quality and the unit’s specifications. Unfortunately, there is definitely no one-size-fits-all answer! 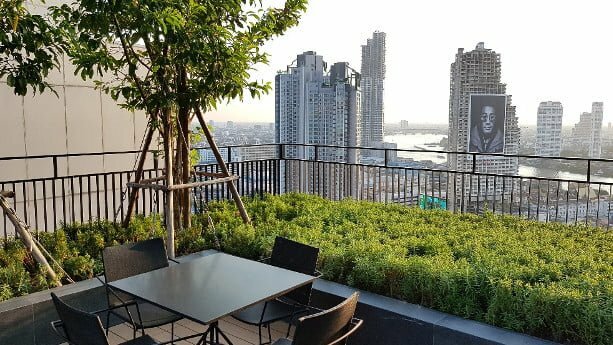 What is certain, the city generally benefits from a constant rental demand from both local Thais and expats all year round. However investors looking for a rental investment in Bangkok, should always invest selectively conducting careful research and due diligence. The rental market tends to concentrate in the Central Business District where the bulk of the demand is overwhelmingly from expats; therefore, investors are always advised to invest in central locations (Close to BTS and/or MRT) in good quality and well-managed projects! 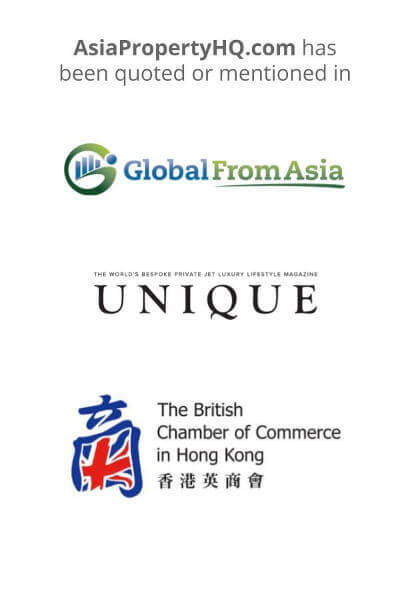 This article was written by Pierre Leung, the Managing Director of Fresh Property. Fresh Property is an established Property Agency in Bangkok and can help you with sales, rental, and property management services. Their multi-lingual team focuses primarily on managing properties in the central areas, such as along the Sukhumvit BTS.